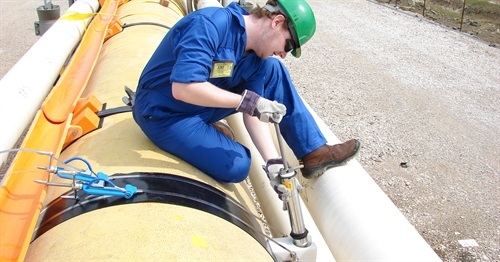 The SPANASSURE vibration monitoring system is used to confirm the integrity of spans of unsupported pipe by measuring motion of the pipeline. Along a pipeline span, a number of INTEGRIpod motion data loggers are installed on the pipe at pre-determined locations. Each INTEGRIpod data logger records acceleration and optionally angular rate in three dimensions. The measured data is recorded in the memory and is downloaded into a computer for post-processing after the INTEGRIpods are retrieved. The INTEGRIpods can be attached to the pipeline by diver or ROV using Pulse's specially designed deployment clamp. The monitoring system is supplied with a kit of accessories to allow users to initialise the INTEGRIpods and download data. Special software is also supplied to allow users to view the downloaded motion data and statistical values such as RMS, average and peak-to-peak values.